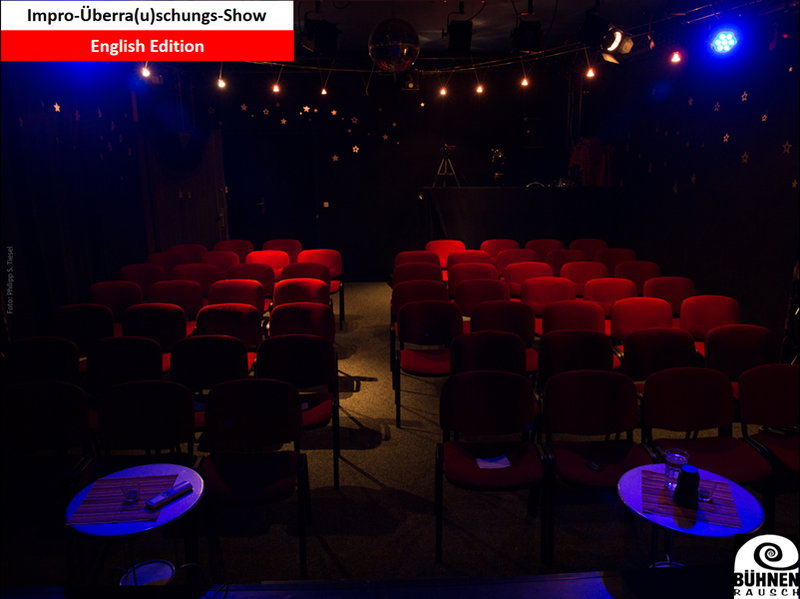 We will start an English Edition of our famous Impro-Überra(u)schungs-Show (ÜShow). If you like playing with improvisers of other Berlin improv groups, yould should enter your name (and an email-adress) in the doodle-list. you can also send us an email (wir@buehnenrausch.de). We'll invite the selected cast approximately ten days before the show per email.